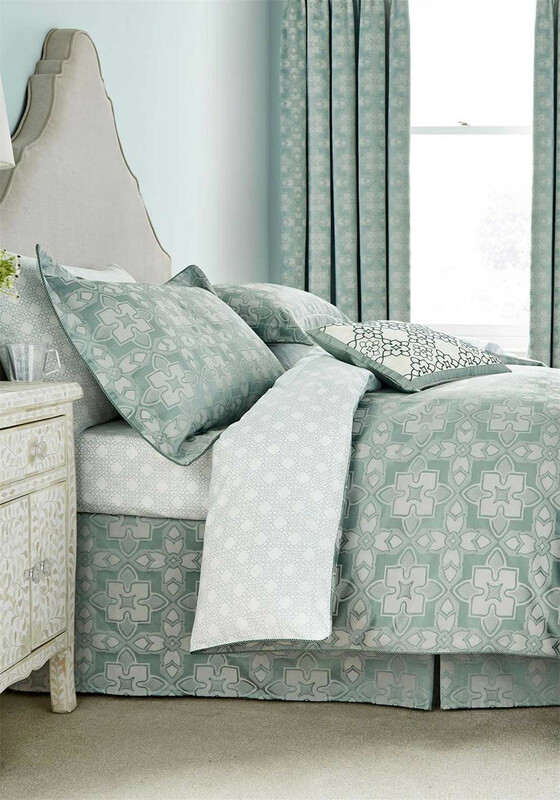 The quatrefoil design on this bed linen will give you a Victorian look to update your bedroom. Add character and personality to your bedroom and let it ooze with style. With a blue aqua and white colour print this fitted sheet from V&A will give you a fresh and airy look to your bed.